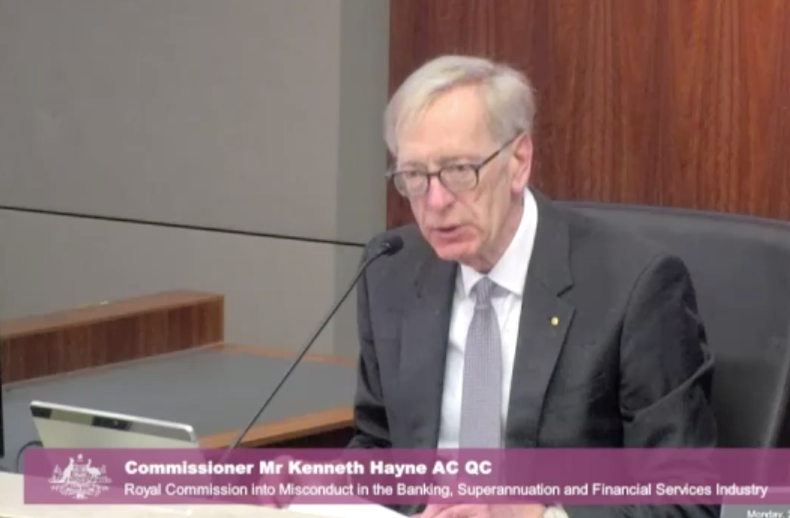 Rural banks will be required to commence farm mediation processes as soon as loans become distressed, not as a ‘last measure’ before taking enforcement action, under a key recommendation from the Hayne Royal Commission into banking. In addition to recommending the establishment of a comprehensive national scheme for farm debt mediation, the commission has also recommended the elimination of default interest on loans in areas impacted by natural disasters such as droughts and floods, and for lenders to appoint receivers or external administrators “only as a remedy of last resort”. The commission wants internal valuations undertaken by a lender to be conducted by valuers independent of loan origin, processing and decision processes, and valuations of agricultural land conducted in a manner that will recognise the likelihood of external events affecting its realisable value and the time that may be taken to realise the land. When dealing with distressed agricultural loans, banks should ensure those loans are managed by experienced agricultural bankers; and manage every distressed loan on the footing that “working out will be the best outcome for bank and borrower, and enforcement the worst”. The 76 recommendations included a call for the establishment of a compensation fund “of last resort” to help people affected by failed financial institutions. The Coalition Government said last night it will take action to ensure all of the commission’s recommendations are adopted. In calling for a national scheme for farm debt mediation, Commissioner Hayne said farm debt mediation had too often been treated as a step that was taken only because the lender considered enforcement very probable, even inevitable, and the applicable statute required a process of mediation before enforcement can proceed. “The mediation may then be treated as no more than a step that must be taken before the lender demands and obtains an order requiring repayment of all that is owing,” he wrote. In its response the Federation Government said a national scheme would assist lenders and borrowers to agree on practical measures that may lead to the borrower being able to address financial difficulties that have caused the loan to become distressed. Four states – New South Wales, Victoria, Queensland and South Australia – already have legislated farm debt mediation processes in place. Each requires banks and other creditors to offer mediation to farmers before taking enforcement action against farm property, including the farm itself and farm machinery. The object is to have a neutral and independent mediator assist the farmer and the lender to reach an agreement about current and future debt arrangements. Commissioner Hayne noted that case studies dealt with in the Interim Report revealed that farm debt mediation has too often been treated as a step that is taken only because the lender considers enforcement very probable, even inevitable, and is required by statute to undertake a process of mediation before enforcement can proceed. “Properly used, however, mediation may allow the lender and the borrower to agree upon practical measures that will, or may, lead to the borrower working out of the financial difficulties that have caused the lender to treat the loan as distressed,” he explained. “Ordinarily, then, I consider that lenders should offer farm debt mediation as soon as the loan is classified as distressed. He said the evident advantage of a single national scheme would be that banks and other lenders would be expected to formulate nationally applicable policies and training about how best to use the scheme. Using the scheme to best advantage should result in better and more orderly resolution of the difficulties that are presented for both lender and borrower when a loan is distressed, he said. In its formal response the Federation Government said a national scheme would assist lenders and borrowers to agree on practical measures that may lead to the borrower being able to address financial difficulties that have caused the loan to become distressed. Minister for Agriculture, a former rural banker, David Littleproud said the Coalition Government would work toward a National Farm Debt Mediation Scheme. “I’ve been pushing for a single national approach to farm debt mediation service for more than a year now and I’m glad to see the Treasurer will act on this recommendation and help make it a reality. I will be asking state agricultural ministers to support this on Friday at the Agricultural Ministerial Council. “It’s no good having one farm debt mediation system in NSW and another one in Queensland – we need a harmonised national approach so farmers know what to expect. “The Treasurer’s announcement supporting the removal of default interest charges to farmers suffering drought or a national disaster is a very good one and I call on the Australian Banking Association to immediately amend the Banking Code to give effect to this recommendation. It’s time that despicable practice ended full stop because I don’t believe the rate the banks charge reflects the actual cost to them. 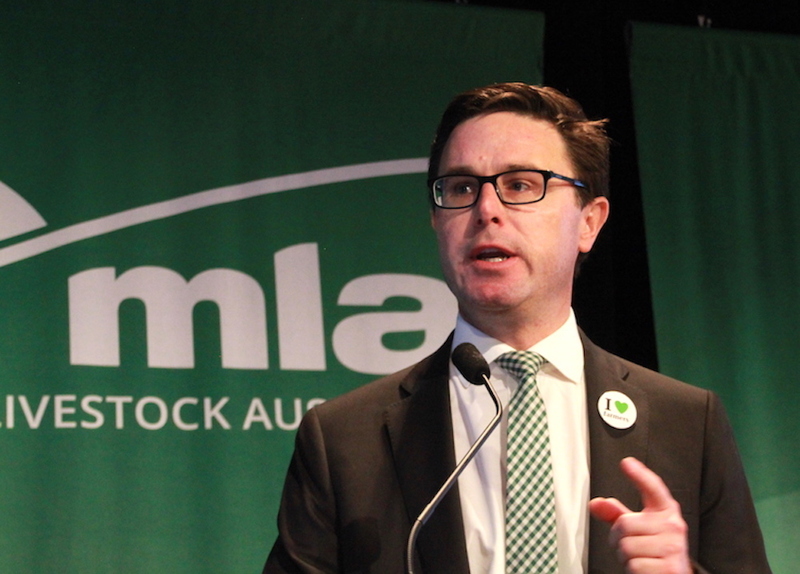 “Treasurer Frydenberg’s announcement that valuation of farm land will need to be independently determined from the lending processes is another strong move and the banks will need to work to limit the cost to farmers from this. “I’ve always said we need to make sure the banks use staff who have agricultural experience and so the change to make sure distressed farm loans will only be managed by those with agricultural experience is common sense. I understand from the evidence heard that most banks, with the exception of Rabobank, decreased their regional footprint and expertise and I hope they’ll now work towards restoring strong, local knowledge as part of their strategy to help agriculture reach its full potential. AgForce CEO Michael Guerin said the organisation was fully supportive of the underlying intent of many of the Banking Royal Commission recommendations to ensure banks involved in rural lending demonstrate fairness, compassion, patience and knowledge of the industry. Mr Guerin said the much-needed reform offered by the recommendations was critical to ensure recovery from natural disasters, continued strong growth in the sector and to safeguard the livelihoods of farmers. “We hope both the Government and Opposition will now demonstrate the leadership and strength of character to commit to their implementation,” Mr Guerin, a former banking professional, said. Nationally, the agriculture industry has a target of increasing farmgate production to $100 billion annually by 2030, a significant 33 per cent increase on current levels. “To achieve this stretch goal, we need to have a transparent, fair, consistent and collaborative relationship with the banking sector and the essential services it provides,” Mr Guerin said. Nationally, 96 per cent of agricultural lending is with banks. “In particular, we support the establishment of a national farm debt mediation scheme to ensure co-operative resolution of financial problems as they arise, with access for farmers to affordable professional support to negotiate the best outcome,” he said. “We strongly support an end to the charging of default interest when there is no reasonable prospect of recovering the amount charged. This practice has been the source of much angst for farmers with failing loans. Mr Guerin said the industry recognised the vital role of banks in their industry, but just asked for fairness and understanding. “The prolonged and severe drought – not to mention other natural disasters our producers have recently or are currently experiencing – has taken an enormous financial, environmental and emotional toll on farming families across Queensland. “We need banks to understand the unique characteristics of agricultural businesses and the highly variable environment they operate in,” Mr Guerin said. However, despite the constantly changing conditions like we are currently seeing, farmers have worked hard to manage their risks and improve their financial resilience and the industry has an appetite to continue to invest and develop further. Data from teh 2017 Queensland Government Rural Debt Survey showed that about 95 pc of the total value of rural debt is viable or potentially viable in the long term, a solid foundation given a seven-year severe and widespread drought. “We must ensure that the partnership between banks and farmers is respected and characterised by ethical conduct and strong communication. “In achieving this we must set a framework that also maximises access to finance and a level of risk taking that allows for innovation and industry and individual growth. A national scheme of farm debt mediation should be enacted. the time that may be taken to realise the land at a reasonable price affecting its realisable value. The ABA should amend the Banking Code to provide that, while a declaration remains in force, banks will not charge default interest on loans secured by agricultural land in an area declared to be affected by drought or other natural disaster. cease charging default interest when there is no realistic prospect of recovering the amount charged. Not a bad idea from Michael. He touches on several elements that are probably unique to agricultural lending. But I would suggest that the funding for such a specialised agricultural lender should come from government and not the private sector. The key to the success of an operation such as this is, of course, to staff it with experienced agricultural bankers. They own the shares in a JVP, and share the profits, and risk … and after a few years (say 10) they may float it onto the stock-exchange and repatriate some capital to the Mother-Ship. I have long said that rural lending is different and a perception of higher risk pervades … but risk to both sides may be mitigated somewhat by designing a Loan Package for Farming that encompasses an ‘AllFinance’ approach … whereby everything is included in the package, from Insurance to a Line of Credit, with all Revenues and Expenses going through an Operating Account, and Loan Payments transferred out of it … an ‘Available Loan’ balance calculated on a ‘look through the cycle’ fundamental value of the going-concern enterprise: where the investment valuation is done on an operational basis, with all things necessary, and WIWO. … and for the Bankers and their Shareholders the risk is quarantined, and the funding of the sector much more transparent . Pitt, Collins, and Queen Street Farmers need not apply … only for genuine Farmers ; living, and working on the Land, in Farming and Grazing enterprises.